The Burren and Cliffs of Moher Geopark has been recognised as a Global leader in sustainable destination development. 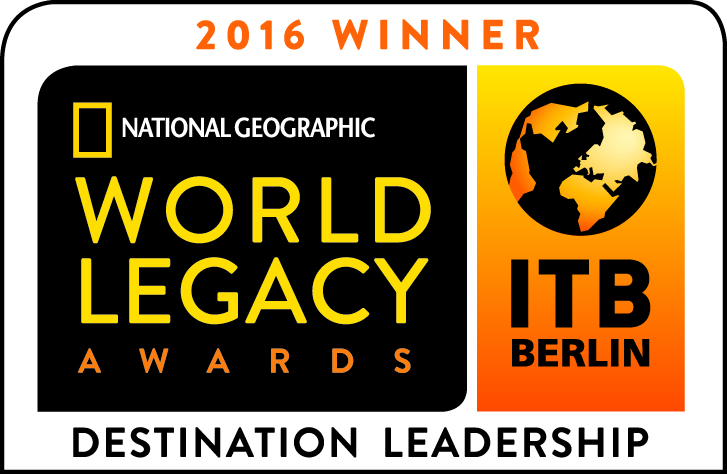 The Geopark was named winner of the Destination Leadership award by The National Geographic in their prestigious international awards programme, the World Legacy Awards. The Geopark, which is managed by Clare County Council and receives support and funding from the Geological Survey of Ireland and Failte Ireland, won the Destination Leadership category of The National Geographic World Legacy Awards for its tourism for conservation project, GeoparkLIFE. The annual scheme honours tourism companies, organisations and destinations regarded as leaders in sustainable tourism best practices. “This work includes facilitating the establishment of the Burren Ecotourism Network achieving UNESCO Global Geopark status, UNESCO site designation, providing environmental and business training, and most importantly linking high responsible tourism standards with economic benefit to the area and was a key component of attracting €2.2m funding through the EU Life programme to develop an international sustainable tourism destination model,” Ms. Gleeson added. Christopher Sinclair, Chair, Burren Ecotourism Network said, “This award will elevate the Burren and Cliffs of Moher Geopark as one of the leading sustainable tourism destinations. It highlights the quality well-managed tourism products that benefit the local community while providing an exceptional experience to the visitor”. The GeoparkLIFE project works with tourism businesses to develop sustainable ethos, practices and tourism products, to work with government agencies and site owners in developing integrated management practices at popular heritage sites and to enable to communities to lead and participate in active conservation on tourism sites. Global Geopark status was first awarded to the Burren together with the Cliffs of Moher in 2011 for their outstanding geological and cultural heritage and has resulted in the region joining a global network of over 100 Geoparks worldwide. The Geopark was designated as a UNESCO site following a vote at the United Nations Educational Scientific and Cultural Organisation (UNESCO) General Conference in Paris in November 2015. A formal link between the Burren and Cliffs of Moher Geopark and the Stone Forest Geopark (Shilin Geopark) was also agreed last year between Clare County Council and Yunnan Province in the People’s Republic of China.